Doug Goldstein, host of the personal finance show “Goldstein on Gelt,” brought me back for a return engagement to discuss the future of alternative energy including molten salt reactors. The show was broadcast on Israel’s English-language radio network, Israeli National Radio. Click here to go to the page containing the podcast. I appeared with Nate Hagens on Dr. Gary Null’s hour-long radio interview show distributed through Pacifica Radio and elsewhere. Null was perhaps the most well-informed interviewer I’ve ever met. The discussion is wide-ranging moving quickly from where we are today in energy supplies to the implications–social, economic and political–for a future of constrained energy supplies in a world that is clearly not prepared. Carl Etnier, host of the show “Equal Time” on WDEV in Waterbury, Vermont started with Prelude. Then, we went on to a wide-ranging discussion which covered who in government circles understands peak oil, Vermont’s new peak-oil-aware governor, the inscrutable and often unmanageably complex human-built systems within which we live, using nature as a guide for redesigning those systems, and recent revelations in the media about exaggerated and perhaps fraudulent claims concerning the amount of natural gas we can expect from shale gas fields. Below is a two-part interview I did with Alex Smith of Radio Ecoshock. Part 1 is about navigating collapse. Part 2 discusses the scale and rate-of-conversion problems with alternative energy and touches on climate change. 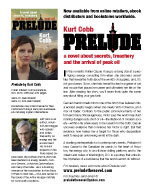 Both interviews took place before the publication of Prelude. This video was recorded at the 2010 International Conference on Sustainability in Grand Rapids, Michigan. Using practical demonstrations I try to make the issues of peak oil and climate change more accessible to the lay audience. 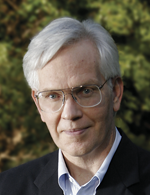 January 19 at 7:30 p.m.
March 27 at 5:30 p.m.
October 18 at 1 p.m.
Talk: Peak Oil: Is Resource Depletion Real? PLEASE NOTE: Event runs from 8 a.m. to 4 p.m. Registration is free. Breakfast and lunch included with registration. January 19 at 6:30 p.m.
March 15 at 8 p.m.
March 22 at 5:30 p.m.
April 21 at 6:30 p.m.
July 10 at 2 p.m.
August 13 at 2:30 p.m.
September 21 at 7:00 p.m.
October 2 at 9:30 a.m.
October 11 at 7:00 p.m.
December 6 at 6 p.m.